The Kontakt sampler plugin by Native Instruments has come a long way since it was first released in 2002; it went from being the underdog (compared with Tascam’s Gigastudio) to the most dominant sample editing and playback software in the industry. 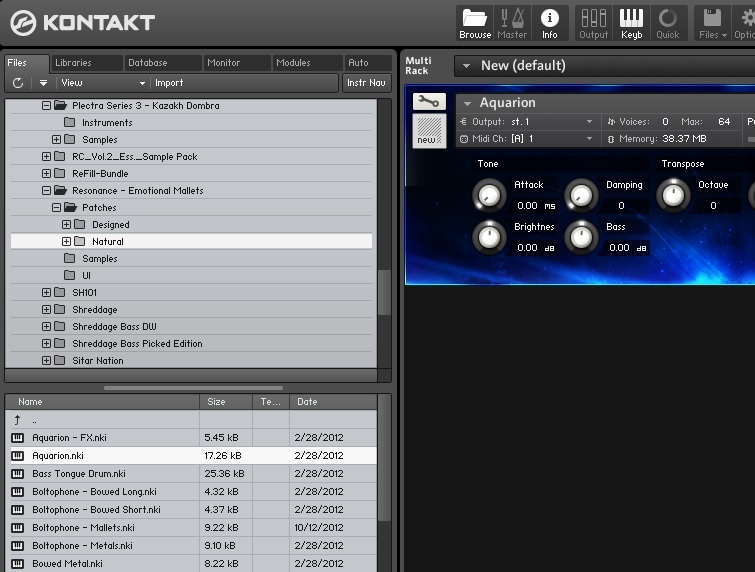 Though we’ve only been developing commercial Kontakt libraries since 2007, we’ve been using it since the very beginning. In this series, we’ll help you optimize your workflow and make the most of Kontakt, no matter what DAW or platform you’re using. 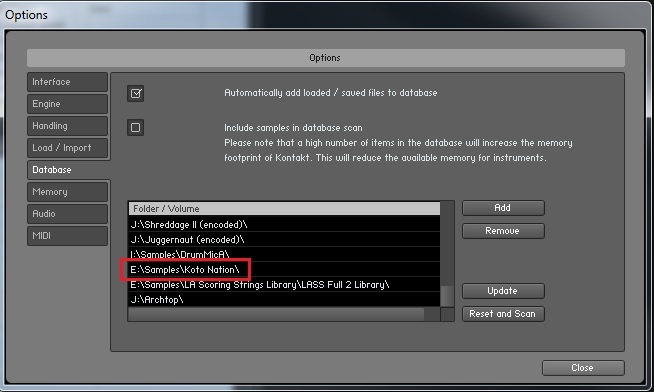 If you’ve only used Kontakt Player libraries, you’re likely used to the convenience of the Libraries tab. Just hit “Add Library”, add an instrument like Archtop or Juggernaut, register it in Service Center, and you’re good to go. However, the majority of our catalog – indeed, the majority of all Kontakt patches out there – are not Kontakt Player compatible and cannot be loaded this way. Read Part 2 – Click Here! Read Part 3 – Click Here! The most obvious and straightforward way of loading any given NKI is to go to the Files tab of the Browser and either double click or drag it to Kontakt’s main window. 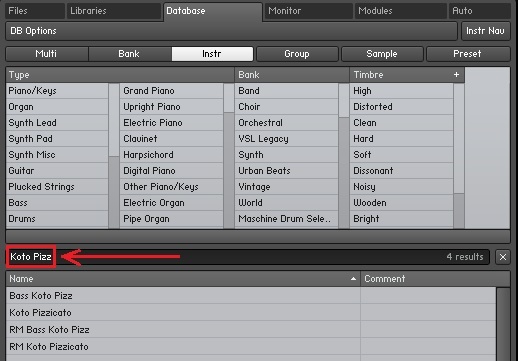 Also, it can be helpful to make a general ‘Kontakt Libraries’ folder and organize instruments within that. Once you’ve cleaned up your file structure, you’ll likely have an easier time locating and loading the patches you want to use. Still, there are even better ways. One is to use the Quickload function. 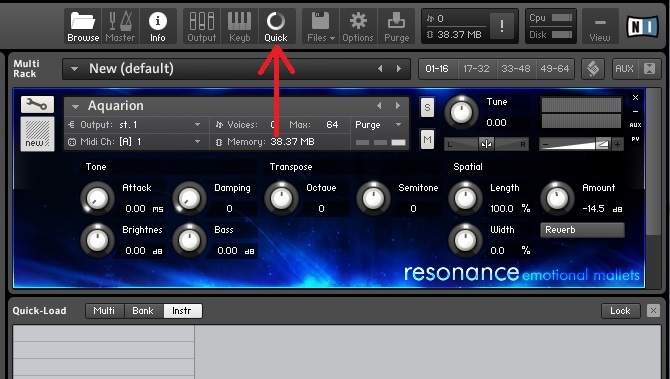 Hit the Quick button at the top of Kontakt’s UI to reveal the Quick-Load window at the bottom. You can drag NKI/NKM files here, or even entire folders. Doing this gives you immediate and easy access to your libraries, with a clear view of the folder structure for each. Very clean, fast, and organized! If your patches folders have generic names like “Instruments” or “Patches”, note that you can rename them here. This will NOT mess up the names of folders on your hard drive: it only affects the Quick-Load area. Another fantastic tool is the Database. This is an incredibly powerful method of finding and loading patches, but criminally overlooked by many users. To use it, hit the Database tab in the Browser and then click DB Options. 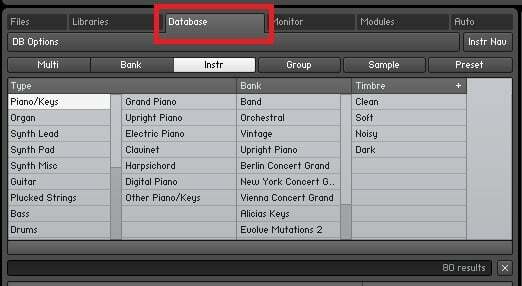 Here, you can specify folders for Kontakt libraries. 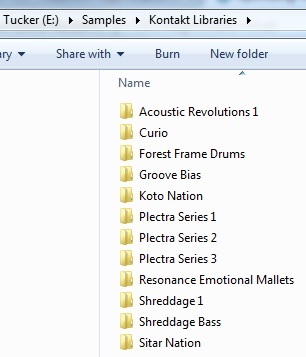 I’ve added a variety of folders here, including the folder for Koto Nation, a non-Kontakt Player library. After you’re done adding things, hit Update and then close the dialog. If I want to find my Koto Pizzicato patch, I could use the Files tab or Quick-Load, but with the Database tab, I can simply type in “Koto Piz”… and it appears! These search results can be loaded by double-clicking OR dragging, just like the other loading methods. If you *really* want to get fancy, you can also tag your sounds by right-clicking and selecting “Edit”. Kontakt’s factory library is already pre-tagged, and depending on how many instruments you have, you might be interested in doing some basic tagging for your most used patches as well. However, even without relying on tag search, the ability to start typing in any instrument name or articulation and loading it in seconds is incredibly powerful. This wraps up Part 1 of our series. Thanks for reading!